These turned out great! The shop owner was quick to respond to my concerns. 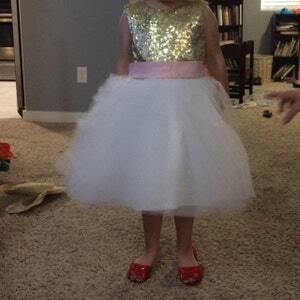 The dress was a little big, which is what we wanted to allow for growth. The only concern is the zipper is very tough to zip.